Home angry mom Challenges featured Don't be an angry mom | What makes you angry mommy? 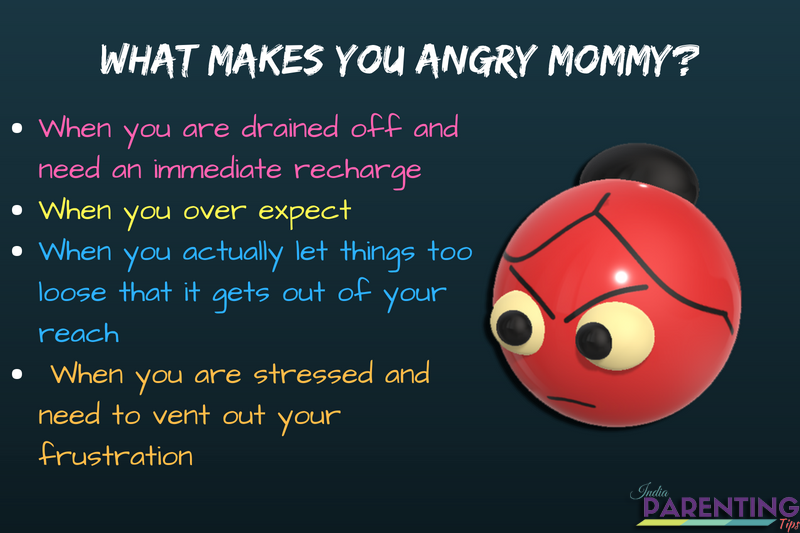 Don't be an angry mom | What makes you angry mommy? If you are a mother and you often ask yourself ‘why do I get so freaked out?’ then this post is just for you. Even you feel you might need help but you feel confused and stressed to talk about it then you must read some helpful tips that actually worked out wonderfully for me. It was like just another normal day. I came back from a tiring day at work. I found my room cluttered with scattered papers, toys and books and clothes tossed all over the room. I took a deep breath and ran to the kitchen. Kids must be hungry. While I had put some stuff to get cooked in the oven, I ran to change forgetting to drink even a glass of water to quench my dry throat. I ran here and there while I hear a sudden loud piercing shriek from my pre-schooler who suddenly wanted something that he could not find. My other 11-year-old was busy playing his video games with loud sound and jumping here as there with excitement. The 14-year-old adolescent is fighting his own battle of existence between adulthood and childhood and has severe mood swings and attitude issues. While I ran to check what was the reason for the cacophony I came back to the kitchen to find that the food in the oven has almost got burnt. Now I got to cook again and that too fast. I started to think to get something quick and fast and suddenly I heard another loud moaning and nagging sound from the little one and certain fights between the older children to add more jangle to the pandemonium. The next sound was a loud roar from no one else but from me, angry mommy. “Will you guys let me live?” I felt as if my brain will just pop out of my head and for a moment I was shocked to hear my own voice. For a minute or two, there was complete silence. I looked at the kids of different ages and they all gave different responses. My pre-schooler started to cry louder and louder and it was full of hurt, anguish and extreme sadness. My second son stared at me in shock and then sat down quietly looking down. My early teen son marched back to his seclusion banging the door. I just sat down bluntly as if losing my gravity, falling down and bursting into tears. Resentment, guilty, hating my own self I didn’t know how to react. After all, I would not like my children to grow up remembering their mother as scary, mean and angry. They might also have serious mental and emotional issues later. I panicked. I never wanted to become an angry mommy? In fact, I never ever thought that I am like a mommy type person and here I have three kids. How could I shout at my boys? They mean the world to me and I was always a cool mom to them. I started to think about all these which made me cry more. And then I found all my three boys running back to me hugging me and then after some time laughing out the shocking moment. It was a moment to remember. However, this instance forced me to think and brainstorm why do moms like me get angry? What makes you angry mommy? When you are drained off and need an immediate recharge - Motherhood comes with a whole lot of shocking surprises and a great deal of sacrifices that you could ever think of before you became a mom. However, there are certain things that need to be done when it should be done. If you feel completely drained off and you have nothing to offer you must take a breather if not a break. You might ask your husband to babysit the kids for a few hours while you catch up with your friends to watch a movie or do all those girly shopping what you used to like before. You may go for a walk with your partner alone for half an hour while the kids are sleeping. You might catch up with some hobby classes like dance, yoga, music are anything that excites or interests you. I would advise you to go for something that also involves bit physical exercise as physical activities are a great way to de-stress yourself by channeling your energy in a positive way. In short take ‘me time’ for yourself. You need it. When you over expect - Being a mother does not mean that you are always amenable and loving without disciplining and grooming your children. Also, moms should not become a matron in hostel always trying to scare off the kids and make them feel empty lacking self-respect. What it requires is to have a perfect balance between being loving and being strict for certain matters. Check the priority and work out things accordingly. Example: It is too much to expect that kids would never use tablets or video games for playing games. However, it is a good idea if you allow things with conditions attached. You might allow them for a particular time slot and at a particular time and remain firm on that. When you actually let things too loose that it gets out of your reach - When it gets too loose you need to reformat things. There are many times we realize things when things get out of our reach. It becomes extremely difficult at that time to get in charge over things when you have already let loose things to fall apart. Children’s behavior is often the reflection of the attitude and behavior of the parents. In my previous post on Emotional Abuse, I have spoken a good deal on this. You might also be interested to read about it for more inputs and help. Ensure that the home environment is peaceful and not chaos. Ensure safety first accompanied by a safe emotional haven for the kids. When you feel that things are not going well, it is high time to bid ‘Goodbye’ to the current system and get a quick format done resetting all the present buttons! 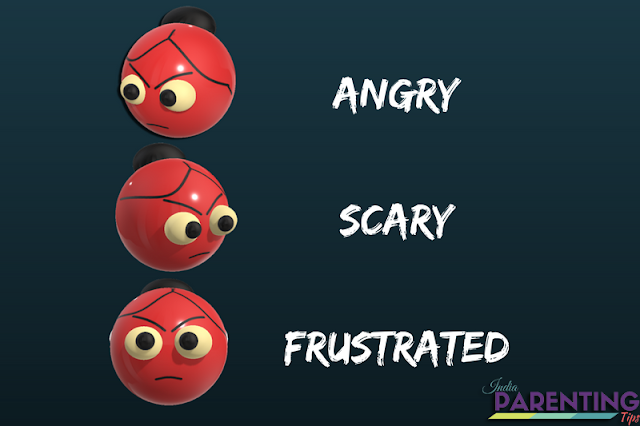 When you are stressed and need to vent out your frustration - Anger is a sign of weakness and has to be dealt with some kind of mental malfunction. When you are angry and lose your mental set up often it might be a sign of severe stress. Often over exhaustion and stress causes angry behavior in a person and you turn up to be an angry mother. If you get stressed quite often it is best to get help from counselors or take some anger management courses that are extremely helpful in dealing with stress. Otherwise taking to a trusted friend or companion and letting out the tensions are some good alternatives. Coming back to my angry moment, it can be said that as soon as I just let loose my emotions and kids came out of the unwelcomed shock of angry mommy, we all got back together giggling away and laughing out the scary mommy moment. After all, they were kids and I was their mother. Such is a special relationship between a mother and her kids. However what was important is that I had identified the reason for becoming angry mommy and now might be able to handle things more maturely than before.